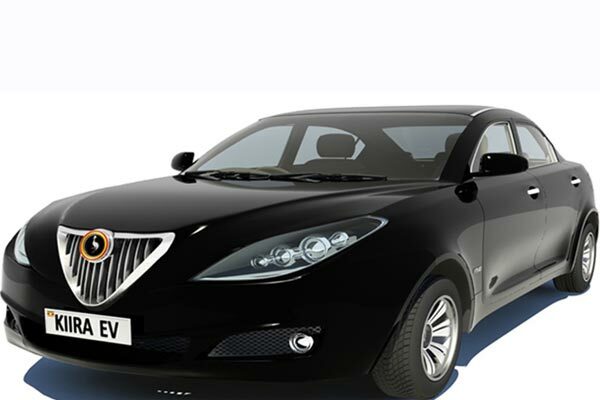 The vehicle, Kiira EV SMART, which the manufacturers say will be the region’s first sedan hybrid electronic vehicle, has been developed at Kiira Motors Corporation. Ironically, Uganda will be launched the car at Kenyatta International Convention Centre on Thursday, confirming that Nairobi is the regional financial hub. “The reason why we are having a high profile launch is to attract investors from East African region. “We are looking for collaboration because it’s an expensive venture. We are looking at $300 million assembly line in Jinja. “This vehicle is a prototype and we expect to go to mass production by 2018,” managing director, Africa Talentbank.com Ltd Miriam Mukasa said. Ms Mukasa is coordinating the launch, to be attended by Uganda’s High Commissioner to Kenya Angelina Wapakhabulo, among other senior officers. The unveiling will be followed by a test drive at the KICC grounds. Ms Mukasa estimated the cost of the vehicle at $30,000 (Sh2.6 million) when it is released into the market. A hybrid electronic vehicle combines internal combustion engine propulsion system with electronic propulsion with the objective of better and economical use of fuel and performance. Its braking system turns the heat produced into energy that charges the battery unlike the conventional brakes. The most popular hybrid vehicle is Toyota Prius released into the market by Japan in 1997 and by June 2013 had sold more than three million units. The launch of the hybrid vehicle comes weeks after Kenya announced the entry of its first vehicle into the market known as Mobius at Kenya Vehicle Manufacturers based in Thika Town. The Sh950,000 car is said to be the cheapest new vehicle in the country, which the manufacturers said was similar to the price of a seven-year-old sedan vehicle, not designed to operate on degraded roads and rough terrain, or carry the heavy load common with travellers in the region. The car has a capacity of eight passengers and a load capacity of 625 kilogrammes and a maximum speed of 160 kilometres per hour on a five-speed manual gearbox. The manufacturer of Mobius appointed former Safaricom chief executive officer Michael Joseph as its marketing adviser, underwriting its intention to make a strong presence in the market. Mr Joseph is among a team of eight advisers including former car designers of top firms like Ford and General Motors. The others are a former top Ford executive Alain Batty, who is in charge of sales, and Greg Bellopatrick, an engineering expert, who served as chief engineer at General Motors in the past. The design expert is Patrick Le Quement, a former automotive designer at Ford and Volkswagen-Audi Group.